Where brilliance makes a lasting impression. Where brilliance makes a lasting impression.. Exceptional brands possess exceptional marketing material. This consistent quality means you can wow clients at every stage of the customer journey. 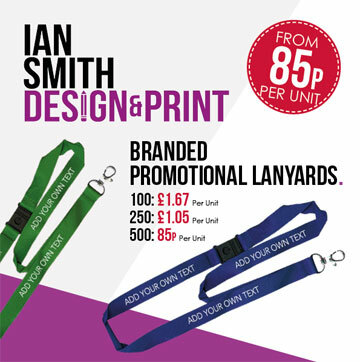 With inspirational design and vivid print available from Ian Smith, is it time you reignited your brand? Our expert design team are on call 9-5 and we keep our print presses running round the clock. Now, with our latest Heidelberg litho colour press, we guarantee pixel-perfect quality at up to B3 print spec. Unique brochures, vibrant leaflets, tactile business cards and everything else, why not come to us for all your essential marketing tools? Go one further with promotional products. USB sticks, cups, stress balls, we can add your brand details to pretty much any item you can think of. This will put your brand in reach of customers, helping you win business without the effort. Expect the exquisite. Expect Ian Smith. With cutting-edge technology we can put your logo and company details on almost anything. Qualified and experienced with oodles of creativity, our designers deliver stunning artwork. That means you can join up the whole project in one place. Say hello to cost-effective simplicity. By automating print needs with real time stock levels and technical support, you’ll always have your print delivered to the correct location and at the right time. See the vivid results from a range of printers capable of large and short runs of any type (up to a whopping B2 print size). As specialists in brand consultancy and design, we can help you shake up your marketplace and elevate you up above the crowd! Constantly pushing the boundaries of innovative design and materials, we give clients a competitive edge with their Corporate signage. Get off to the right start from the very first step. Ask our designers about previous projects for clients. Transform dull spaces into inspiring zones with commercial wall coverings. Your design, produced and installed by us. I have worked on a variety of different projects with the Design and Print team, alongside having a regular professional ordering service for any of our stationery needs. I have enjoyed developing a strong, working relationship with the Ian Smith Team. Both Nicole and Melissa often go above and beyond when working collaboratively on promotions and projects during the time we have worked together. No task is too big or small and the company is one of the best I've known in the design and print sector. 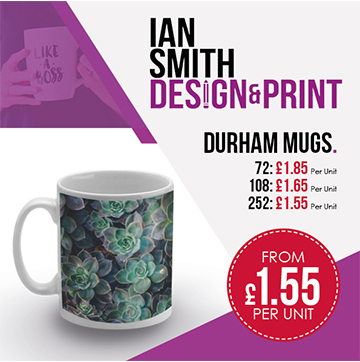 Prices are always very competitive and the team are always happy to negotiate and work alongside on products and artwork before producing high quality printed products. Always very happy to recommend and use Ian Smith but most importantly we value and greatly appreciate the work that both Melissa and Nicole put in to ensure the best outcome. 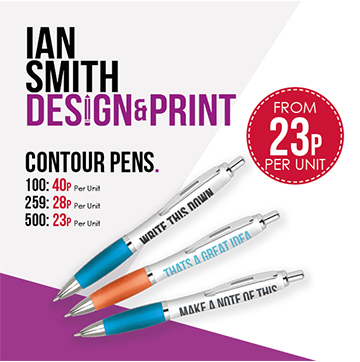 If you need a friendly, reliable and all round great company for anything furniture, stationery, design or marketing related, I would have no doubt to recommend Ian Smith.